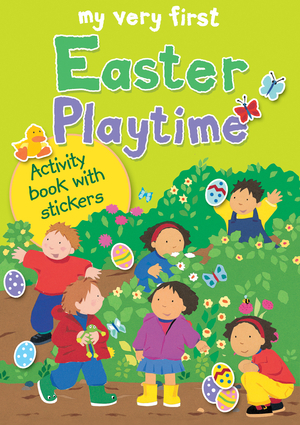 This book of on-the-page puzzles, games and stories - with a page of stickers to use to complete the activities throughout - will provide lots of fun for little ones in the run-up to Easter. Using Easter symbols and spring time animals including bunnies, birds, bees, butterflies, chicks, eggs, flowers, and lambs, together the activities help to explore the reason for the season, touching on the Easter-time themes of spring and new life. Activities include matching pairs and shapes, spot the difference, counting, as well as a simple board game to play and a story and poem to read. LOIS ROCK has established an international reputation as a children's writer. Specialising in Bible stories, prayer books, and information books, her books have been translated into over 30 languages with sales of 4 million copies.Alex Ayliffe's trademark papercut illustrations are bright and bold, dainty and detailed, with lots of character. She has an established reputation as a storybook illustrator, working with major publishers, winning the Sainsbury's Best Book for Babies award in 2000, and the Children's Book of the Year Award at the Christian Booksellers' Convention in 2004. She has travelled extensively in Europe, Africa, and Australia.